The star walk is the 1.2-mile Rhodedendron Trail that rolls through dense growth of the namesake plants; expect this rollercoaster terrain to leave your dog panting in places - especially if you take advantage of the Phites Eddy Trail to drop down to Susquehanna River for a swim. Two trails envelop the Tucquan Creek. The southern leg supports most of the foot traffic as it hugs the banks all the way to the Susquehanna River and provides the best experience for enjoying the many waterfalls in the stream. This is not a casual canine hike. Expect to devote a solid five hours to completing the 9-mile loop to the Pinnacle and back but your dog will get the best view in Pennsylvania. Near the parking area, the 3/4-mile Oliver Patton Trail was named a National Recreation Trail in 1992. This lively little track traverses a stand of Norway spruce and white pine planted in 1968. This was Robert Coleman’s Cornwall & Lebanon Railroad, the last of Cornwall’s grea tiron barons. To keep his line busy Coleman built the Mt. Gretna retreat for the rich and exhausted. 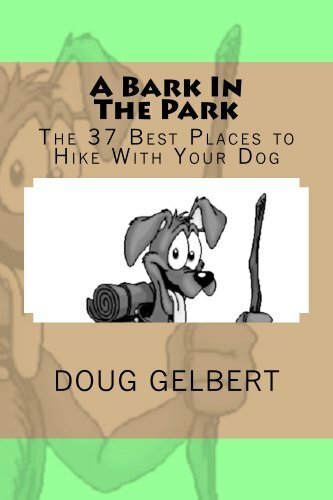 The main canine hike here is a circle of a little more than three miles around the lake. The lake is shoehorned into a few hundred acres dominated by major roadways and an industrial park but once the barrage of vehicular noise and public address pages disappear into background noise, the magic of the sanctuary reveals itself. Almost 40 miles of marked trails criss-cross the property and your dog will be under a wooded canopy nearly every pawfall. The Mill Creek Trail goes over six miles and never gives a whiff of civilization.